Summer Home Selling Tactics That Work! The hottest time of the year can present some challenges when you want to sell your home. No matter how high the mercury reaches in the thermometer, there will always be someone looking to buy a new home. We’ve compiled some summer home selling tactics that work during hot weather to help you get your house sold quickly. Use them to attract buyers so that you can focus on packing for your move instead of having your house sit on the market! Now is not the time to cut back on your air conditioner when you are out during the day. Set the temperature to a comfortable 72 degrees and let it run at that temperature constantly. You’ll want to make sure that your home feels comfortable any time that potential buyers come to visit. If you haven’t had a chance to have your air conditioner inspected, schedule an appointment for a checkup. The last thing you want is for it to stop working right before a showing or an open house. If your home is outfitted with a lockbox and real estate agents may be coming by during the day when you and your family are at work or attending summer activities, make a point of leaving lights on so that the house will appear bright and inviting. If the showing agent has to spend a lot of time looking for switches, it takes something away from the rhythm of the showing and will make your home appear less attractive. 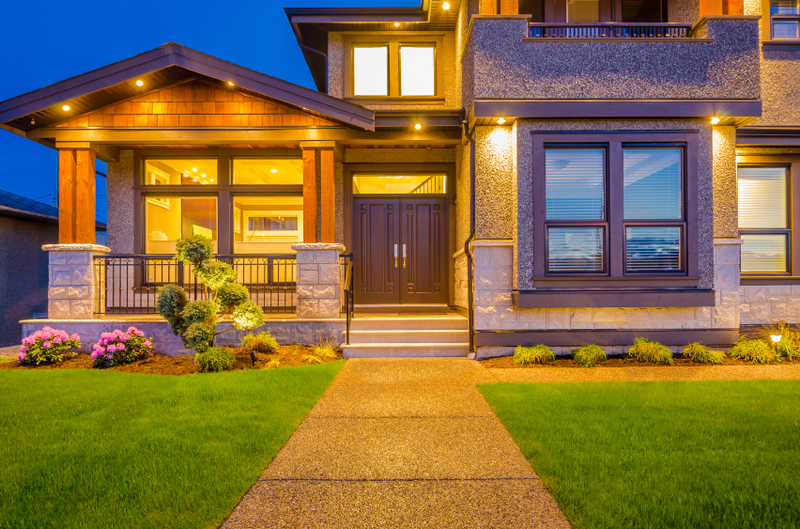 Curb appeal is important during the summer, and you’ll want to make sure that your front lawn, as well as any trees, shrubs and flowers located there are looking their best. Keep in mind that buyers start to form an impression of your home as they pull up to your property. Take the time to assemble a list of nearby schools (primary and secondary) including the address and phone number as a courtesy to prospective buyers with school-aged children. Leave it out with a plate of cookies and a pitcher of lemonade or iced tea to make prospective buyers feel welcome. For more suggestions for summer home selling tactics that work, call the right Wans today. We’ll help get your Bayview Hill home sold quickly, no matter what time of year it is! This entry was posted in Home Staging, Real Estate Tips, Selling and tagged Buying, home staging, Home Staging Tips, Richmond Hill Home Selling, Summer Home Selling Tactics. Bookmark the permalink.